This department is overseen by the Logistics Manager and is broken down into three different sections, Radio Services, Facilities, and Data Services. 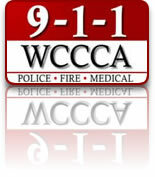 Radio Services is responsible for maintaining WCCCA's radio infrastructure, radio equipment for User Agencies, WCCCA facilities, and WCCCA's computer networks. Radio Services is also responsible for maintaining the radio infrastructure and User equipment for Clackamas County and the City of Newberg/Dundee Police & Fire departments through an intergovernmental partnership agreement. This section is staffed by 4 Radio Technicians and 1 Radio Services Supervisor. Facilities is responsible for general maintenance and repairs of the building and radio tower sites in Washington and Clackamas County as well as the WCCCA dispatch building. Facilities personnel report to the Radio Services Supervisor. This section is staffed by 1 full time and 1 part-time Facilities Maintenance Technician. Data Services is tasked with maintaining the software and programs that enable computer-aided dispatching (CAD) services, and providing information to Users and the public. They are also responsible for maintaining agency computers and software and the network they operate on. This section is staffed by 1 CAD/Data Services Supervisor, 1 Data Services Coordinator primarily responsible for maintaining the CAD software and system, 1 Information Systems Analyst responsible for maintaining our web and intranet sites as well as data mining. 1 Information Systems Technician responsible for software and hardware maintenance and 1 GIS/Mapping Technician responsible for maintaining the map used on the CAD system and police and fire mobile data computers (MDCs). This position also helps maintain the database used for enhanced 9-1-1.